Maybe they are seeming like all other vehicles you have seen in the street, but they are more than that. 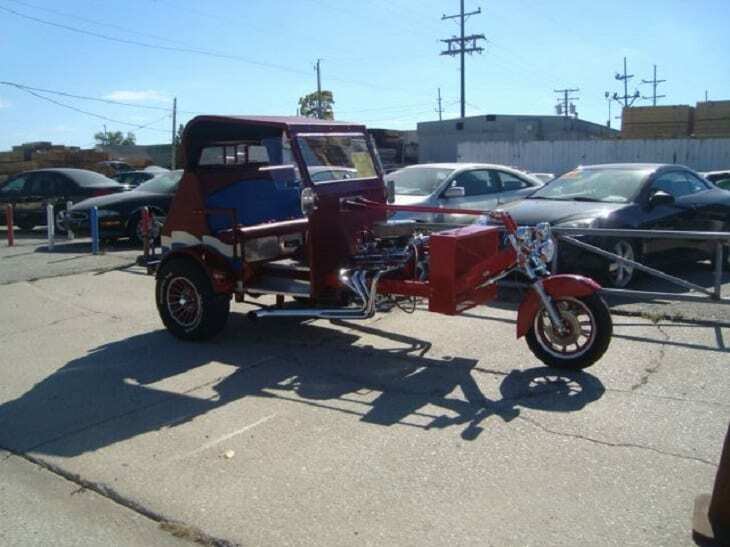 Naturally, when you have custom-made trikes, you are bound to see something that is unusual and crazy by all merits. 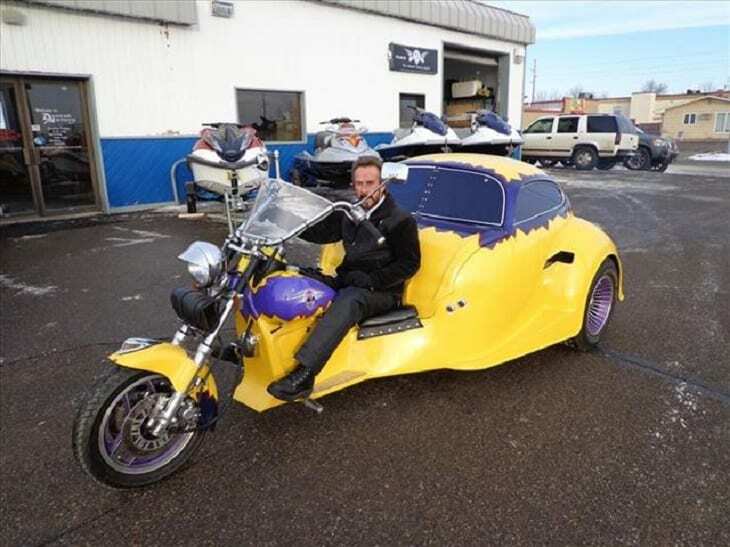 We are going to present you with craziest trikes in the world. Some of them are amazing, some of them are unusual, but we assure you, all of them are downright crazy. Did you ever imagine that you will see a motorcycle that is powered by a cordless screwdriver? Probably not. But, We are going to present you with just that. 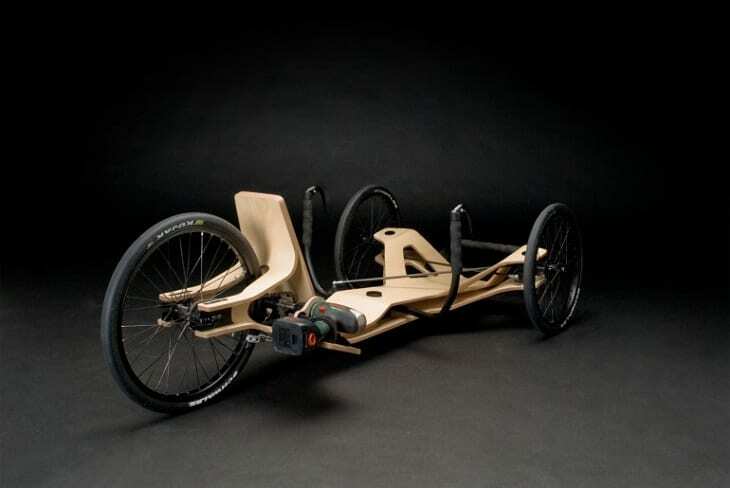 It’s called Screwdriver-Powered Cordless Wood Trike. 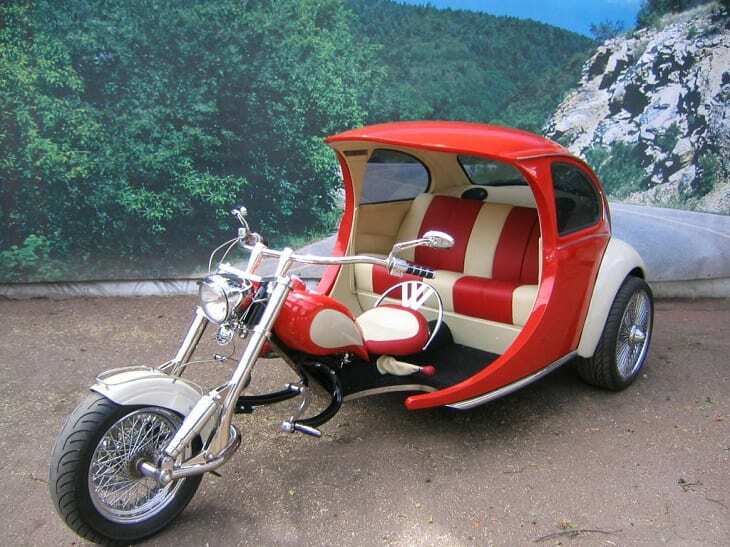 We are presenting you with a trike, that is a half motorcycle, half Volkswagen. It catches eyes everywhere it goes. It is not only because of its design but for its yellow color. Just imagine if you that see in the street. 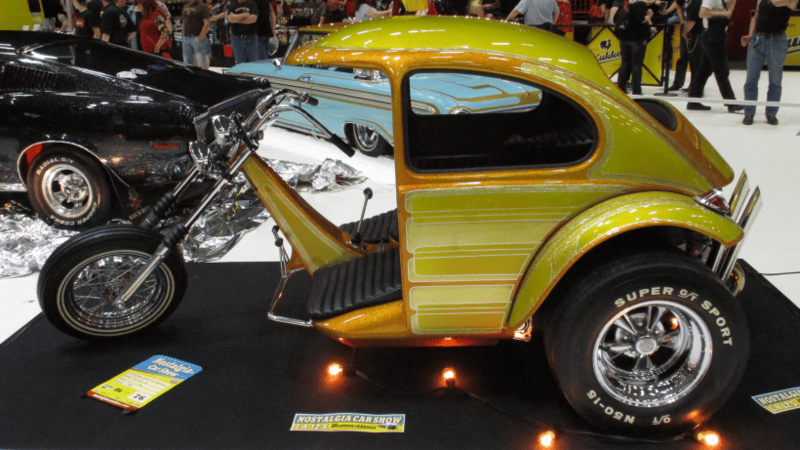 When someone says something about the most popular vehicles that came out of a combination of motorcycle and a car, he or she surely thinks about the VW bug trike. 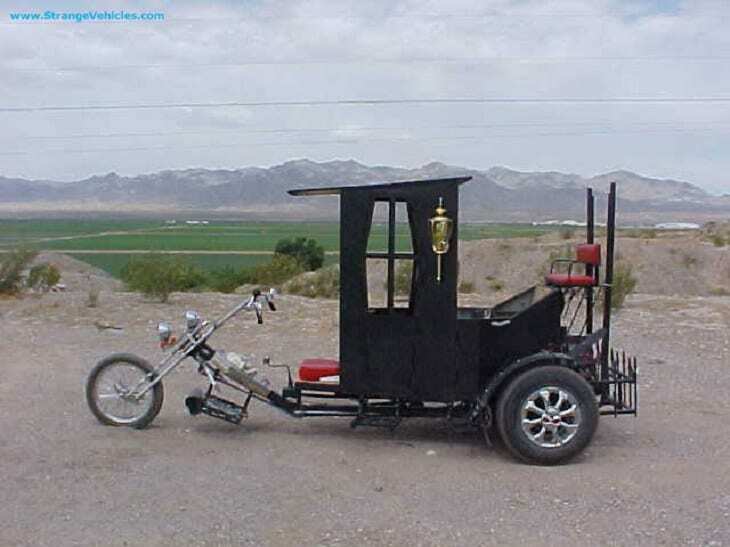 Imagine how Satan`s vehicle would look. Well, we have an example of that. One motor club in the United States, called “The Unwanted”. 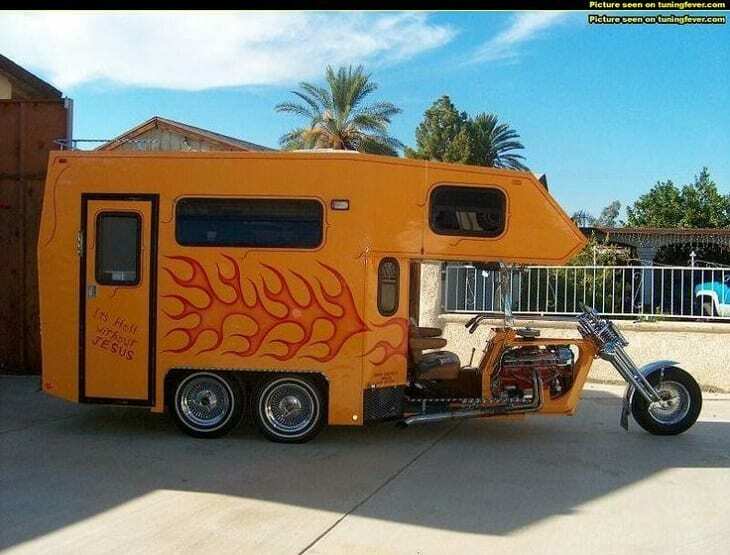 It has three seats. 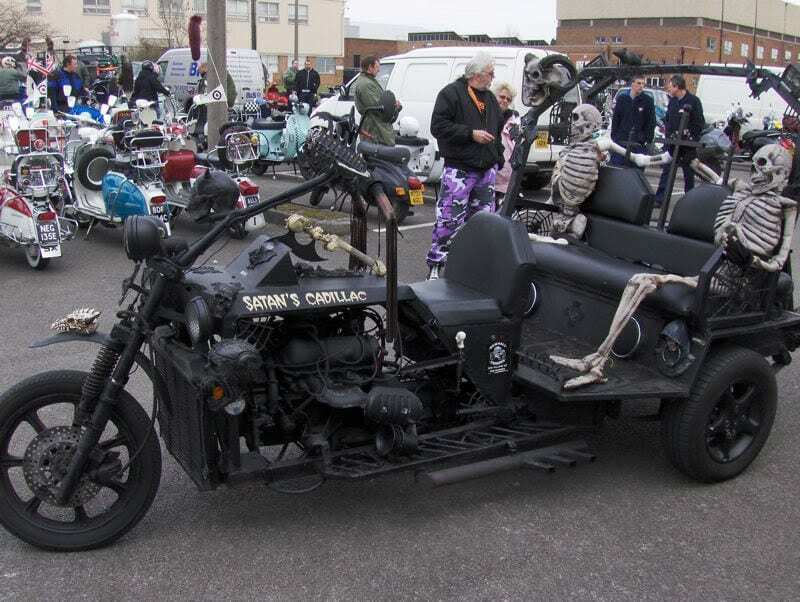 This is probably the most thing that came out of Harley Davidson`s factory. See for yourself. 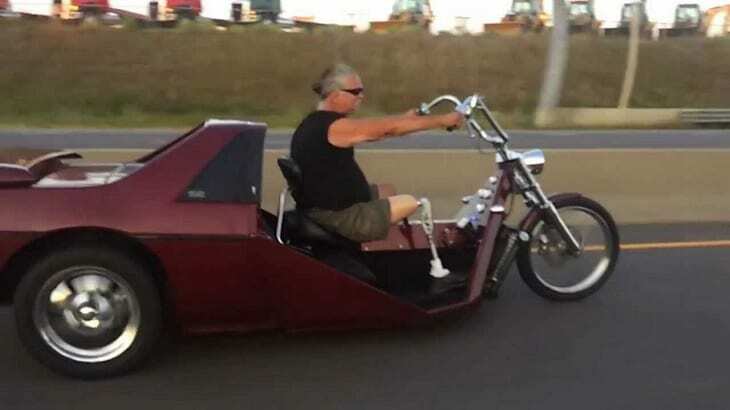 By all merits, this can and cannot be considered to be a trike. However, that doesn’t make it any less remarkable than others on our list. It is a replica of a starship enterprise, made of propulsion and fiberglass. The engine is located right under the seats. 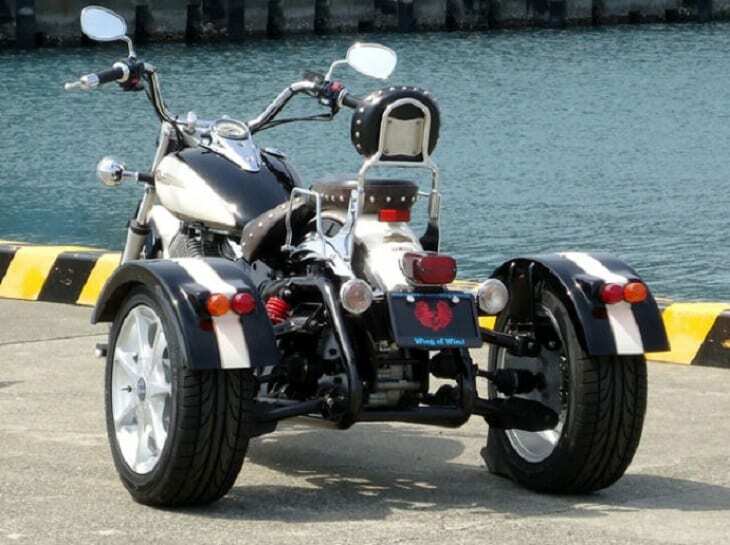 If you love both motorcycles and Pontiac Fiero, then the Fiero Trike is one of you. 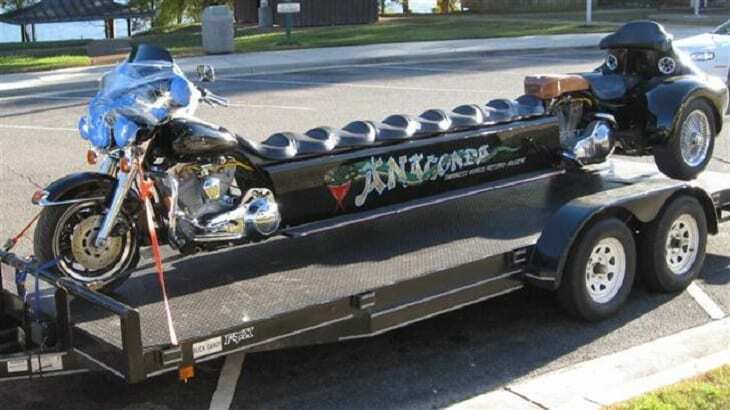 There is nothing strange about a motorcycle that carries a trailer behind them. But when you see this one, you will see that you haven’t seen anything like this, ever. A person called Todd Harter, with a nickname “Skull”, took a VW bike an turned it into something that is… Well, we are not sure that we can describe it accurately. See for yourself. 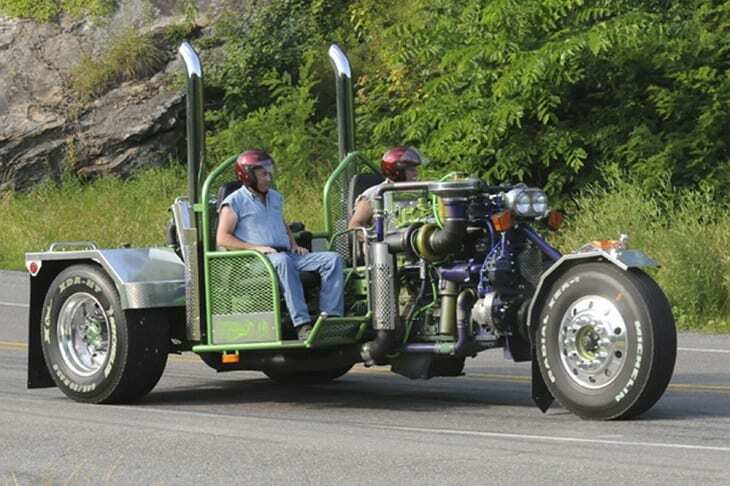 Well, you read that this vehicle runs on biofuel, but it`s not fueled by standard biofuel. It runs on… wait for it… human waste. Yeah, you heard that right. One of the craziest on our list, Anaconda, made by the Harley Davidson team, is surely one of the craziest vehicles you are going to see, period. Just imagine, how often do you see a vehicle that has ten seats, and it is not a bust? We know that it is not the usual one. This is one of the craziest on our list. Bull Dog Trike was the high school project of two twin brothers. The whole project was overseen by their father, and it takes more than 1,700 hours to be built.